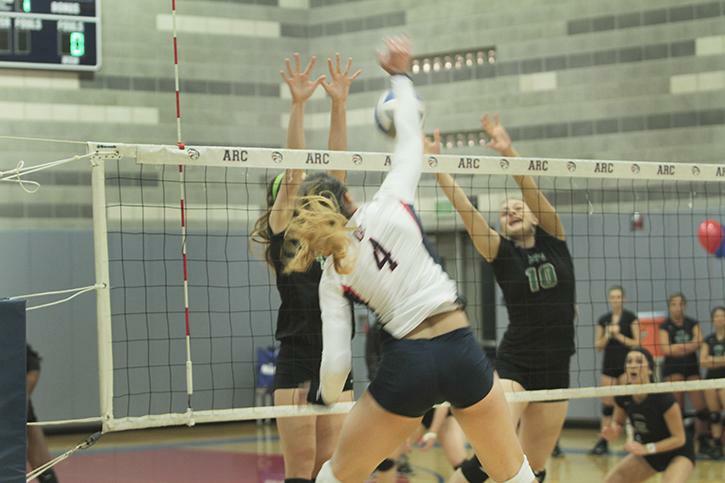 After a dominating win against Diablo Valley College that was won in three matches with scores of 25-9, 25-6, and 25-12, the ARC volleyball team will head into playoffs with a 20-6 overall record following its sophomore night ceremonies on Wednesday. Sophomore players Kiana Chaney, Erika Jones, Taylor Bunger, Leila Whaley, and Taylor Bright all received 2 dozen roses. At the beginning of the game ARC took the time to acknowledge the sophomores who would be leaving the team at the end of the season, right before the final game in the match the girls held up a blue volleyball that was given to one of the outgoing sophomores players during a huddle. After last weeks game, head coach Ashley Hain said the team “got lucky” by winning, but this weeks game was a different story. The girls seemed to get a chance to perfect their play in this game, as DVC lobbed over soft hits and free balls. 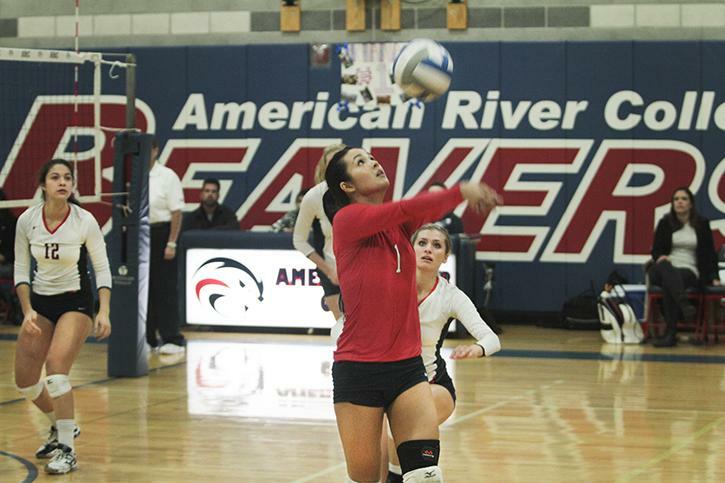 American River had very few forced errors and Bunger, Whaley, and Jones continued to slam down hard hits into open holes on the DVC side while middle Erianna Williams and right side Bright blocked the few balls DVC was able to spike. 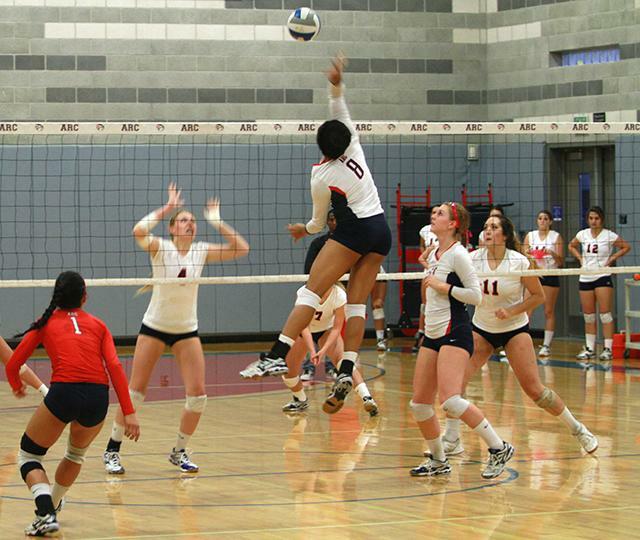 Sophomore Kiana Chaney sets the ball during a game against Diablo Valley College. 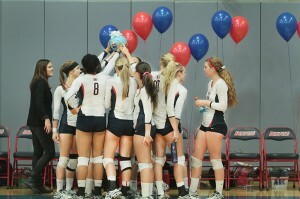 The team made a goal last year to make it to state playoffs, and this year they set the same goal. 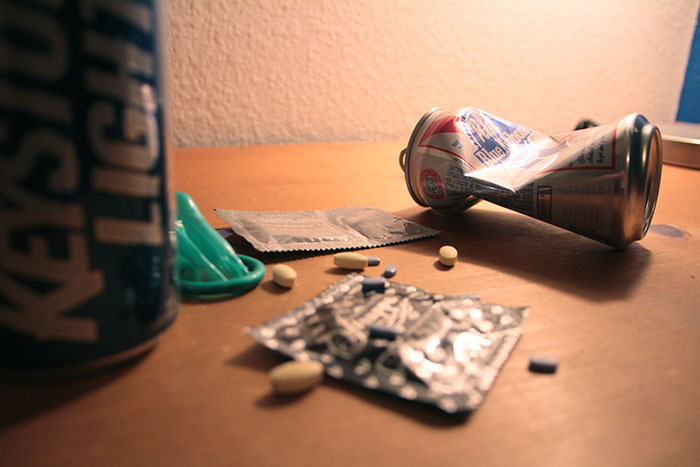 Heading into playoffs the team is unsure of what teams or level of play they will face. “We will go as far as we want. It’s all about how much we want it,” said Jones. 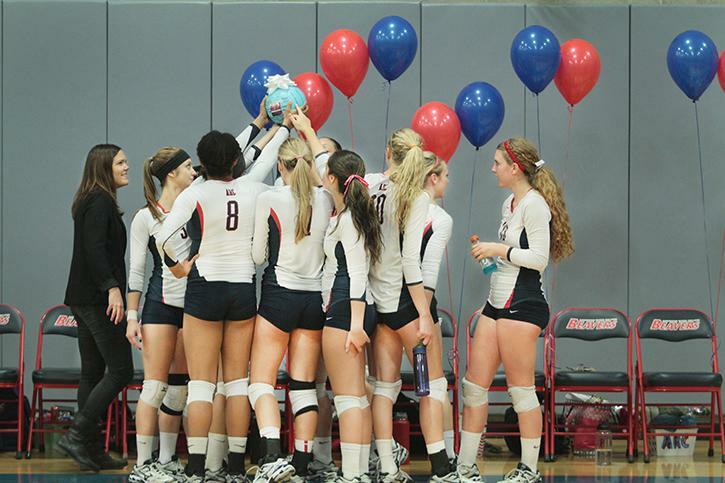 The first playoff game will be held on Tuesday, Nov. 25 at 7:00 p.m., at ARC. “We have to play like a championship team,” said Chaney. 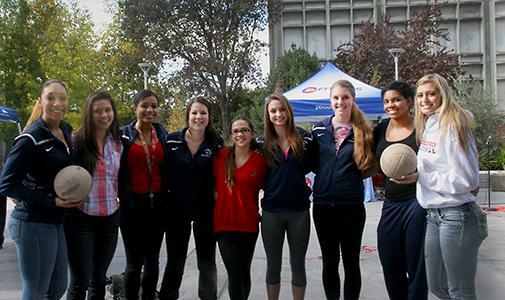 Be the first to comment on "Volleyball team heads into playoffs after a 3-0 victory"